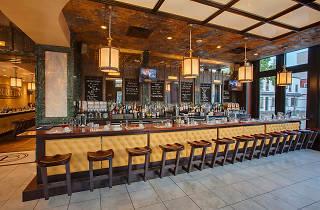 Ted's Bulletin | Restaurants in Capitol Hill, Washington D.C. 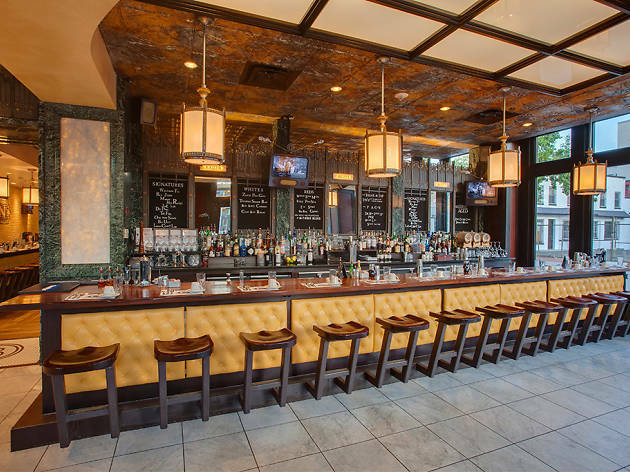 Since opening on Capitol Hill in 2010, Ted’s Bulletin now has a total of five locations across the DMV. The family-friendly favorite serves up nostalgic fare in a cozy, old-timey setting—complete with black and white movies and TV shows played on a projection screen. The one drawback? The eatery doesn’t take reservations, so be sure to get there early or swing by during an off-peak time, unless you want to get stuck waiting for hours for house-made pop tarts, stick-to-your-ribs breakfast fare and hearty suppers. For a little bit of everything, order the Big Mark Breakfast: three eggs, two strips of bacon, two sausages, hash browns, toast and a Ted’s tart. Or take it easy with Mark on an Off Day—just two eggs, meat, hash browns and toast. Breakfast is served all day, but there are also lunch and suppertime favorites like the grilled cheese and tomato soup or the buttermilk country fried steak—all to be washed down with an adult milkshake.